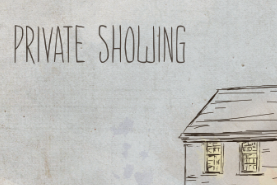 PRIVATE SHOWING is Now Available! I have lots of ideas running around inside my head at any given moment. I've found that for me, the best way to express those ideas is to write about them. One skill I do not have is the ability to effectively express my ideas by drawing them. 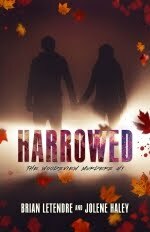 So, when it comes to designing the cover for a book or short story of mine, I know that I need help. Luckily, my good pal Jeff Rodgers has known me long enough to understand my crazy ideas when I tell him what I want to do. He can also decipher my ridiculously bad sketches, and see through my four year old-style of art to the concept that I'm trying to get across in my cover. Jeff has a fantastic eye for design, and he knows what to keep, what to get rid of, and how to bring a core concept about visually. Without his help, my covers would look like what you see to the right. It's important to have a strong cover for your work, whether it be a short story or an epic novel. Readers will take a chance on a story just because they like the cover, and they may avoid a great story because of a lousy cover. If you don't have the ability to create a great cover for your story, make sure to find someone who does, or you're selling your work short. When it came to the design for Private Showing, my goal was to have a cover where the house was a character itself, and I wanted that house to create a sense of dread. 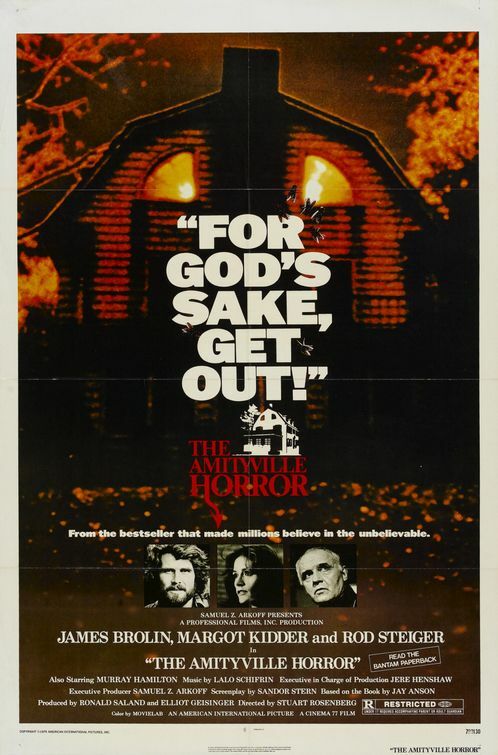 Posters for movies like Amityville Horror and Hell Night were my inspiration. I created the awful sketch above, talked about the movie posters and what I was looking for with Jeff, and he came back with the amazing cover you see below. Pretty awesome. Here's the Cover of My New Short Story, PRIVATE SHOWING! My good friend Jeff Rodgers (of lbobi Radio, ARP and Kitbash fame) designed this cover off of a concept I sent him a few weeks ago. Jeff also worked with me on the cover for Courting the King in Yellow, and as much as I love that cover, I think this is my new favorite. In a few days I'll post more about the design process for this cover, and I'll include the ridiculously bad concept sketch I sent him that started the design process for what you see above. Thanks again to Jeff! You can follow him at twitter.com/JeffRodgers and check out the podcast Jeff and I do together at lbobi.com. 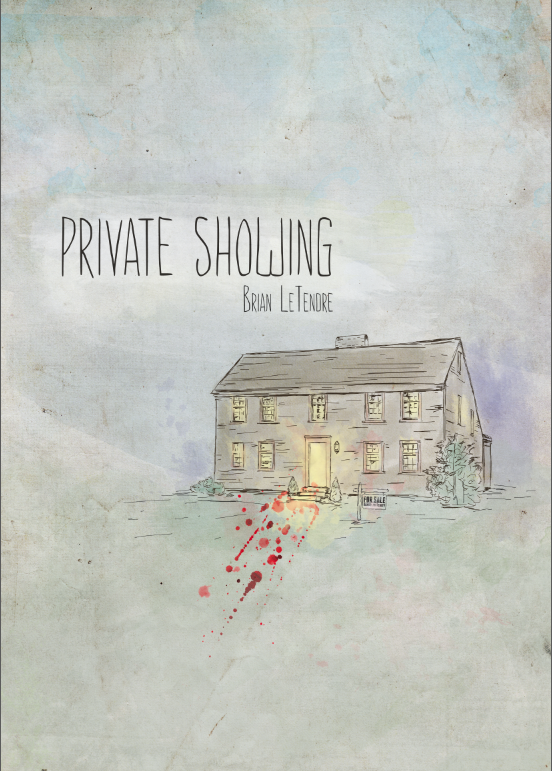 I'm very excited to start talking about Private Showing, me new short story that will be hitting Amazon in the next week or two. It's a story that I'm excited about for a couple of reasons. 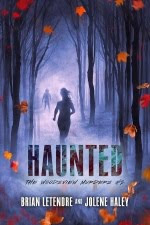 First off, I love short fiction, especially when it comes to horror. Most of my favorite horror stories are short works, whether they be from H.P. 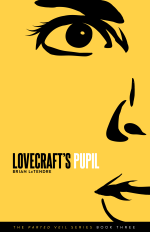 Lovecraft, Clive Barker or Stephen King (whose short fiction I enjoy more than any of his longer works). 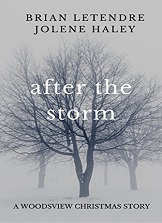 I plan on writing a lot of short fiction in the future, and I'll be using short stories to fill the gaps between novels, while also tying some stories into those novels as well. Which brings me to the second reason I'm excited about Private Showing. 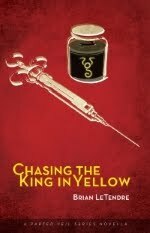 The main character Nita Young is someone who appeared in my first novel, Courting the King in Yellow. She was more of a supporting character in that story, but she takes center stage in Private Showing, which is sort of her origin story. 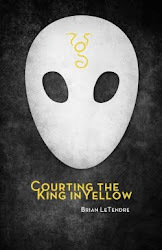 The events of Private Showing are set a couple years before Courting the King in Yellow, and they will definitely give the reader a new appreciation for Nita if they know her from that story. For those who've never met Nita, I hope this new story will prompt readers who enjoy it to give my book a chance. One more tidbit--I chose to build another story around Nita is that she's also appearing in my next novel. Her character has a unique role in the shared world of my stories, and the more I write Nita, the more fun I have with her as a character. 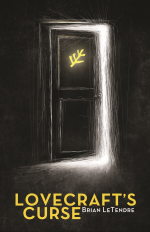 So, I'll be posting more about Private Showing in a couple of days when I have the final cover art from my good friend Jeff Rodgers, who also helped me with the cover for Courting the King in Yellow (we won a design award for that one). The pic in this post is merely a teaser of what Jeff has been working on, but I love it so much already I just had to post it. 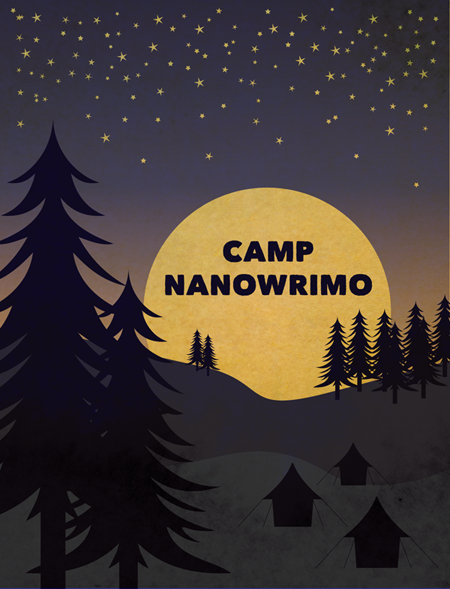 Letters From Camp NaNoWriMo #4--Success! It's April 21st, and I have officially met my word count goal for Camp NaNoWriMo. My plan was to write 15,000 words for a book about podcasting that I'm working on. I'm currently over 16,000 words, and I'll be continuing on for the rest of the month, as the book is far from done. But man, it feels good to hit that word count goal. There is something about writing in NaNoWriMo events that provides a huge amount of extra inspiration for me. I love the community of it, and the idea that there are thousands of people out there excited about writing and all working on their own amazing projects at the same time. It's beautiful. This was my first Camp NaNoWriMo, and it's safe to say I'll be participating in a lot more of these events moving forward. With flexible word counts, the small support groups, and a lighter feel to it than NaNoWriMo, Camp NaNoWriMo is a perfect fit for my style and how I like to motivate myself. All told so far, I've written over 30,000 words on various projects over the months of March and April. Outside of previous NaNoWriMos, these have been the two most productive writing months in memory for me. I've also continued to blog here, write reviews for Secret Identity and post about games on Co-Op Critics. It's been a great balance of writing for projects and writing for my hobbies that has reminded me that I have the ability to write every single day if I just put my mind to it. My plan at this point is to finish the month strong, and set goal for May as well. In fact, I think I'll be giving myself word count goals every month from here on out. I need them, and I am very productive with them. Over the next few months, I will be publishing a new short story, and a second book. I've got some more short story work coming as well, so there should be a good mix of both short form and long form work of mine out there by the end of 2013. I'm very excited about that. As the month goes on, I’m really enjoying Camp NaNoWriMo more and more. Yesterday, the folks behind the event held a fundraising event called the NaNo Thon. The event was designed to get people writing as much as possible during an eight-hour stretch, while also getting some donations for NaNoWriMo. Over the course of the day, the NaNo folks held some Google Hangouts and talked with different writers, shared stories, and even made up some camp songs to help urge the participants along. It was a lot of fun, and I had the livestreams on in the background while I wrote. I had a very productive day yesterday, writing over 1600 words, and breaking through the 10,000-work barrier for the month so far. I’m two-thirds of the way to my goal for the month, which puts me ahead of schedule. I’m not slowing down though, as I’ve got a long way to go before the book I’m working on is complete. For the week of April 7 to the 13th, I wrote over 6,000 words. If I can match that for this week, I’ll have hit my goal for the month with a week to spare. 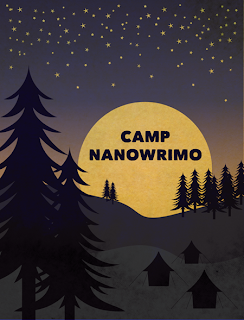 You guys, I am completely in love with Camp NaNoWriMo! I mentioned the “cabins” in my last post, so I won’t blather on about them again, except to say that the idea of that small support group makes all the difference in the world when you’re on a word count schedule. But let’s talk about stats so far. I set out with a goal of 15,000 words--500 words a day for the month of April. Six days in, I’m doing great. I’ve written 3,965 words so far, for a daily average of 660 words, well above my daily goal. I’d love to keep a 600+ word pace for the rest of the month, but I know from last month that I’ll run into a day or two where I can’t write at all, so those extra words will be a nice safety net. The podcasting book I’m working on is coming along very well. I’ve outlined the entire book, and I’m almost finished with the fourth chapter (there will be twelve or thirteen all told). Because this book won’t be as long as one of my fiction novels, it’s the perfect project for the flexible word count of Camp NaNoWrimo. Okay, I’m heading back to camp. More to come! 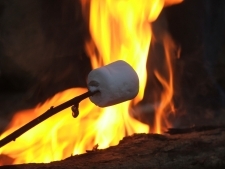 Letters From Camp NaNoWriMo #1--Camp is Awesome! Coming off of a very productive month of writing in March, I decided to take part in Camp NaNoWriMo for the month of April. I had participated and completed National Novel Writing Month twice before (2008 and 2011), but Camp NaNoWriMo is a bit of a different animal. 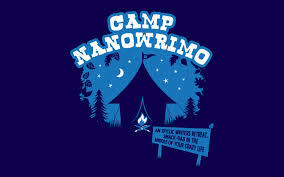 Basically, the idea behind Camp NaNoWrimo is to keep people writing outside of November each year (NaNoWriMo month). 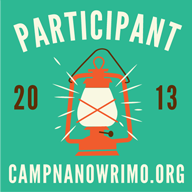 Camp NaNoWriMo is a more flexible version of the yearly novel writing event, and that’s what drew me to it. Instead of a 50,000-word novel being the goal, participants can set their own word counts for the month. So, I set my goal for Camp NaNoWriMo at 15,000 words, keeping in line with the 500-word a day pace I had set for myself last month. But the coolest aspect of Camp NaNoWriMo isn’t the flexible word count--it’s the concept of “cabins.” Based on your word count goal and your genre, you get matched up with a small group of participants to form a “cabin.” These people are your own personal support group, and you are part of their for the month. It feels more intimate and less intimidating than the regular forums, and it really contributes to the “camp” feel of the event. Anyway, my project for this month is the book about podcasting that I started at the end of March. If I hit my goal by the end of may, I’ll have a good chunk of the book done. After two days, I’m right on target.